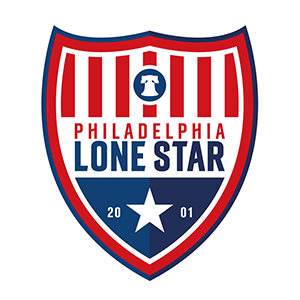 JLSFC-Liberia vs Brewerville United | Philadelphia Lone Star F.C. MONROVIA, Liberia – Junior Lone Star FC-Liberia kicked off their inaugural season in the LFA Montserrado Championship with a 4-1 come-from-behind win over Brewerville United earlier today at the Antoinette Tubman Stadium. After a goalless first half, United took the lead in the 57th minute; however, the Stars in Liberia responded right away with the equalizer in the 60th minute via the penalty spot after Evan Teah was fouled in the box. Darlington Zeegar stepped forward to coolly dispatch the ball at the back of the net for the equalizer. Galvanized by the equalizer, the Stars in Liberia pulled ahead 2-1 in the 69th minute from captain Willie Jones with an assist from Prince Baker. In the 72nd minute, Mansuoh Diahkpo struck to increase the lead to 3-1 with an assist from Forkpah Mulbah before Forkpah Mulbah put his name on the scoresheet in the 84th minute with an assist from Evan Teah for the 4-1 win. JLSFC-Liberia return to league action on Friday, September 21 against Ford FC. Kickoff from the TUSA Field is scheduled for 2 p.m. GMT (10 a.m. EST).